End of the Line is an endearing chapter in the endless struggle between Red and Blu. 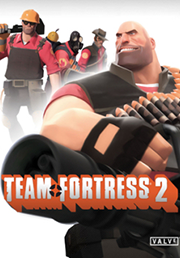 With a seemingly effortless grace, James McVinnie and team have expanded on the Team Fortress 2 universe while holding true to this revered franchise of entertaining characters. From the Pyro’s propensity for all things cute, to the absurd antagonism between the Red and Blu mercenaries, End of the Line keeps things lovingly familiar but exceedingly fresh. Most game cinematics are produced in-house or are contracted out to external production studios. But End of the Line is an exception. It was produced by a group of artists within the community itself. Director James McVinnie was originally going to release the film as a stand alone short. But after an enormously positive reception to the trailer, it wasn’t long before it caught the attention of the game’s developer, Valve. Eventually Valve and McVinnie were in talks to make the short part of an official update to the game.